You will notice pride of ownership in this nicely maintained tri level home that is conveniently located and close to all amenities. The first level offers a kitchen/dining area that&apos;s fully appliance only 2 years old. This level also has a living room with hardwood floors. The second level has two bedrooms, full bath and landing/hallway with hardwood floors along with a large linen closet for storage. The ground level has direct access to the garage along with one bedroom/den plus 3/4 bath. The basement has plenty of room for misc items but also has a finished rec or game room. A three season porch overlooks the open back lawn and is great for entertaining. 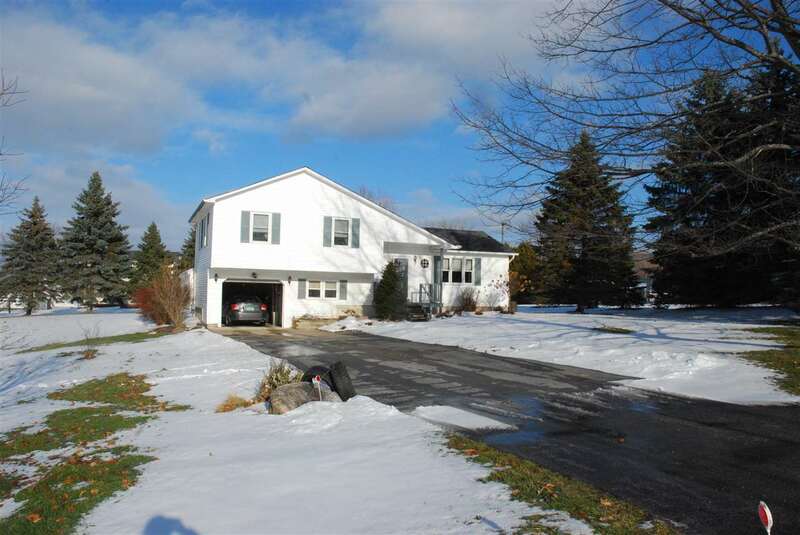 Location and accessibility is right here, only a stones throw from Routes 7 - 104 or I89.